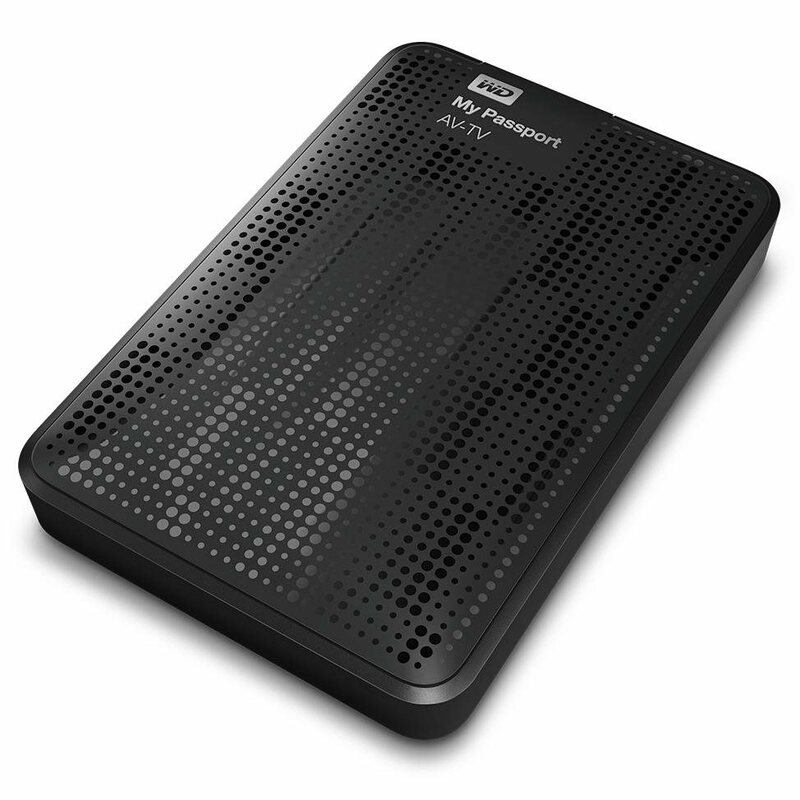 This small Western Digital My Passport AV-TV fits neatly in your entertainment centre. 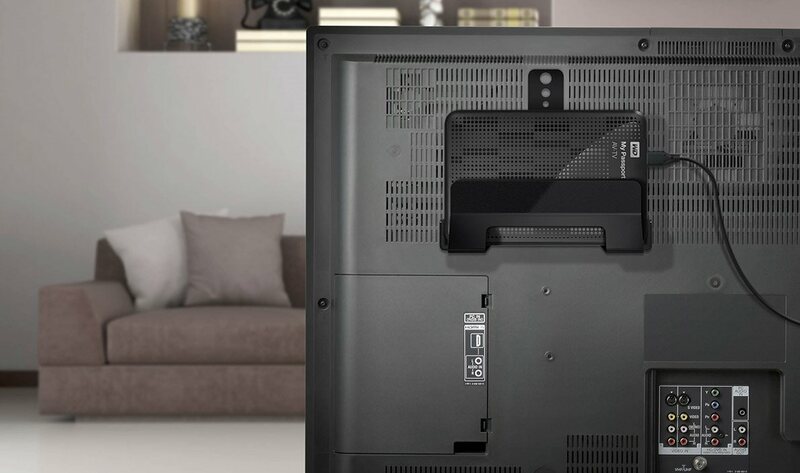 With the included bracket mounting kit, you can easily attach the device to the back of your TV for out-of-sight recording and playback. 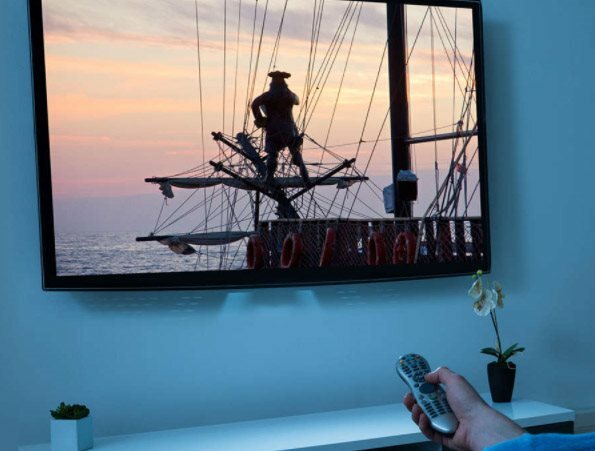 Attach the My Passport AV-TV to your recordable TV and save all your favourite programs, movies, sporting events and other programs in high quality. The volume control is located on the top of the speaker for ease of access. It is easy to use the device, even for a less experienced user. Super-fast USB 3.0 supports multiple HD streams for simultaneous recording and playback on new dual-tuner TVs. Record your favourite series while watching an important match and never miss a moment of the action. High reliability when recording TV programs. Does not need an external power adapter. Can be attached to the rear of the TV, mounting kit included. 82.6 mm (8.26 cm) Done! 18.6 mm (1.86 cm) Done! 123.5 mm (12.35 cm) Done! USB 3.2 Gen 1 (USB 3.0), Micro USB-B Done! 184.5 g (0.18 kg) Done! 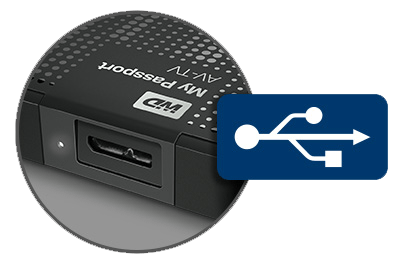 For shipping to other EU countries visit this page WD 2.5" My Passport AV-TV 1TB. Für Versand nach Deutschland, besuchen Sie bitte WD 2.5" My Passport AV-TV 1 TB. Chcete doručit zboží do Česka? 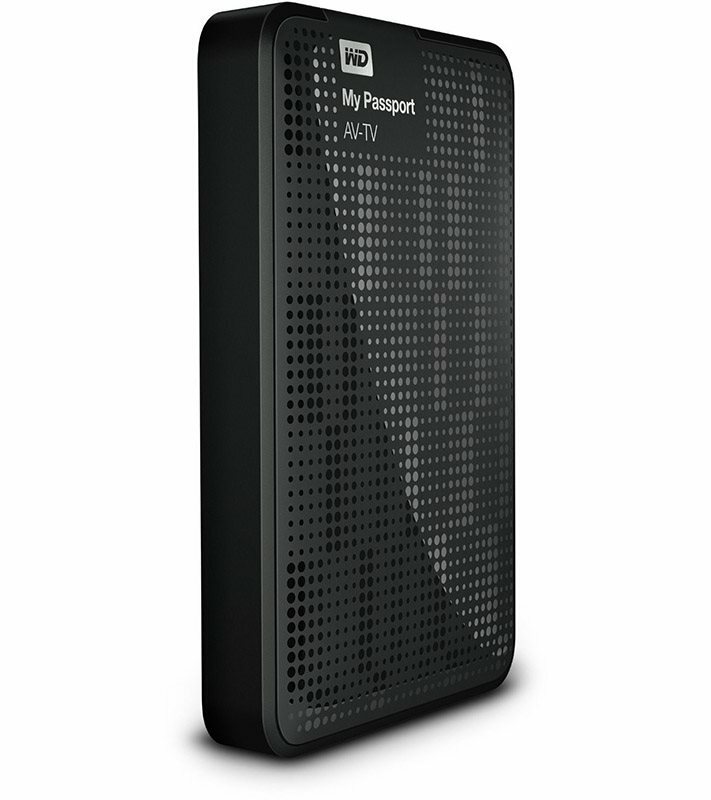 Prohlédněte si WD 2.5" My Passport AV-TV 1TB. Chcete doručiť tovar na Slovensko? Prezrite si WD 2.5" My Passport AV-TV 1 TB. Für Versand nach Österreich, besuchen Sie bitte WD 2.5" My Passport AV-TV 1 TB. Magyarországra történő kiszállításért tekintse meg ezt a termékoldalt: WD My Passport AV-TV 2.5" 1TB.